Sisters Sandra Dorrington and Gaile Hartcher. On 25 February 2009 Pacific Brands announced the closure of seven of its factories across Australia with the loss of 1850 jobs. The announcement was shocking and unexpected. Retrenchment causes considerable economic and emotional difficulty for most workers, but what has also been lost is the community and shared identity gained by the experience of working together on a day to day basis with a common goal over decades. To help workers deal with this difficult transition, the Textile Clothing and Footwear Union of Australia (TCFUA) set up an advocacy and support project to help workers get training and support, to find sustainable employment and to engage meaningfully with their communities. From this project emerged a community arts component. In 2010 I was commissioned by the TCFUA as community artist, to help create projects that celebrate the contributions of workers from King Gee’s Belambi, Bonds Unanderra, and Bonds Cessnock. This project was to give a voice and platform to Australian textile workers whose stories would otherwise be left untold. These are not the stories of powerful people with loud voices. Rather they are stories of humble, hard working Australian makers whose very real skills were undervalued simply because their making was within the context of a factory. These are the real faces behind the brands. From the very beginning I felt connected to these workers through the famous products that they made. More than just singlets and undies, more than overalls and shorts, these products carry deeper levels of meaning, they have cultural weight. Australians have had relationships with these products which reverberate on an emotional level generation through generation. Steven Smart and Neil Lightfoot. I have often helped others tell their stories within the context of three dimensional artistic media, clay or mosaic; stone or timber. However this was to be the first arts project where I recorded and transcribed the stories, approaching my work from the position of oral historian first and clay worker second. 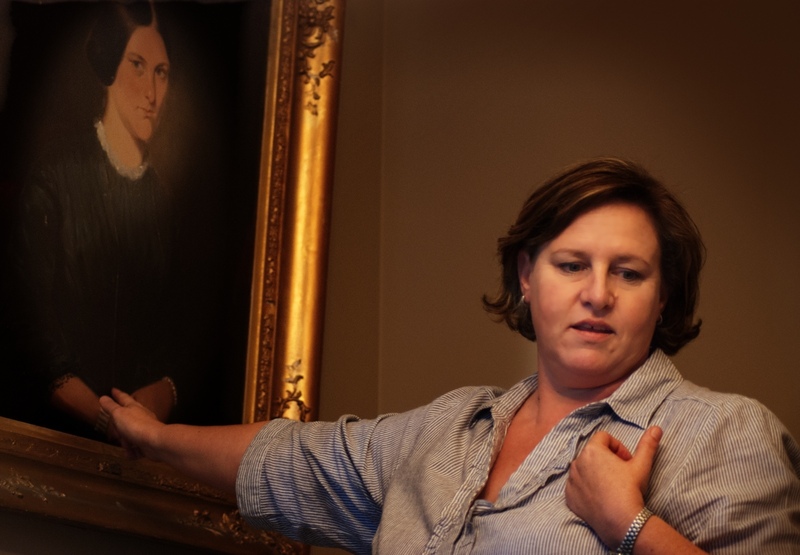 I felt the historic significance of the project, the need to gather, document and preserve the experiences and skills of people whose jobs had disappeared , hidden away off shore. It was clearly important that the textile workers stories be part of the public record. 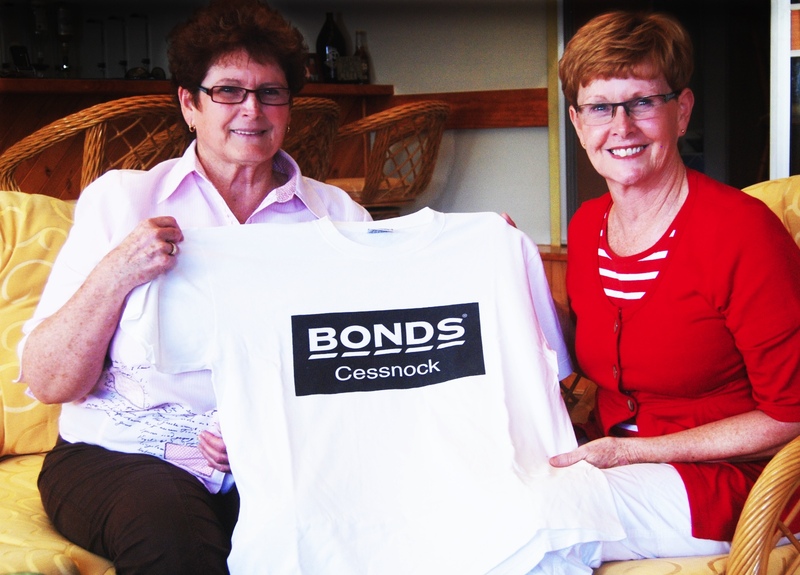 Cottontales: Bonds in Cessnock 1947- 2009 was shown at Cessnock Library during March 2012. The project included an exhibition, a book and a DVD. The book and DVD were given to Cessnock Bonds workers. The print run was small, and many people have since enquired as to the availability of further copies of “Cottontales”. For those who were not able to receive a copy- my apologies. Copies are available on loan at Cessnock Library, or you may download “Cottontales” here for free. “Cottontales” was produced by the Textile, Clothing and Footwear Union of Australia. 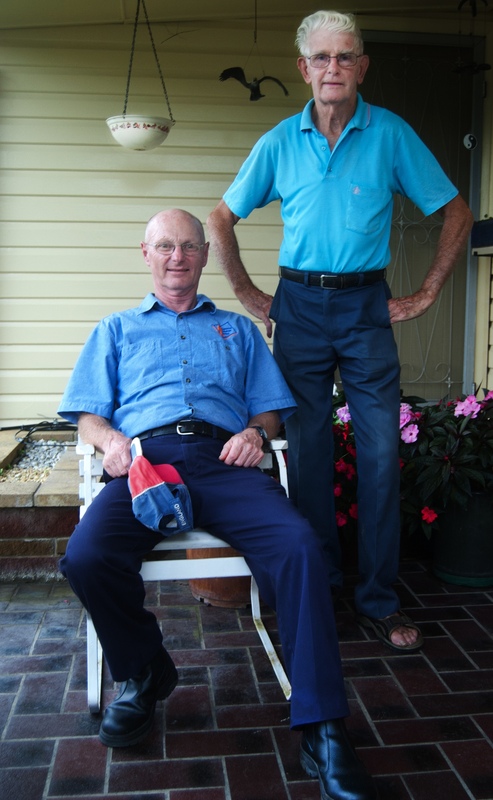 Donreve Miles, Cessnock Bonds worker for 24 years; union advocate before, during and after the final retrenchment. Editing: Celeste Coucke & Helena Spyrou. This project was also assisted by the CFMEU Mining and Energy Division, Northern District Branch. 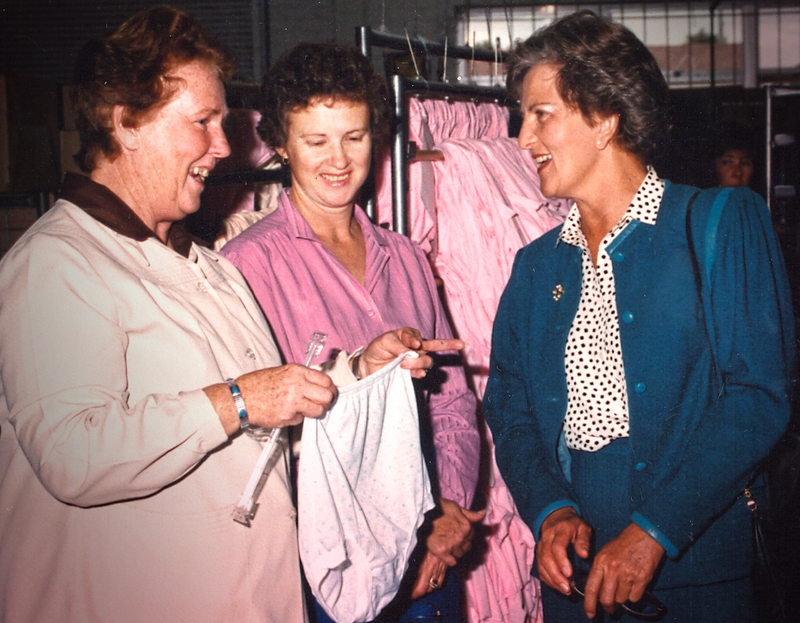 “Cottontales” was made possible through the generosity of three generations of Cessnock Bonds workers. PreviousChildren Shaping Art, Art Shaping Children, Children Shaping Place. Making tiles for the Thirroul Beach Playground. NextMy Life My Dreams: Healing Through Art. Love your and the ex Bondworkers art but it makes me sad. Meaning comes from what we do not from an empty logo symbol. It does not aid anyone in the end… Onkaparinga blankets, Sheridan Sheets and many more, they were real once. Not any longer and this is a major issue for how we value ourselves and what we produce. Lots of love and hope to see you all soon. Thankyou for your heartfelt comment. There is no doubt- so much has been lost. I think it is incredibly important for our country to maintain its ability to make. Australia can be so much more than a place relying merely on the extraction of raw materials. The things that we make define who we are- we need to support the making of products made here. I don’t want Australia to be regarded only as the mine of the world, do you? I have recently started a website, the info you offer on this website has helped me tremendously. Thanks for all of your time & work. “The very ink with which history is written is merely fluid prejudice.” by Mark Twain.